In the subcompact crossover SUV market, the Honda HR-V is a true standout model. 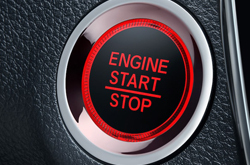 This vehicle was originally introduced to consumers in 1999, and Honda has made substantial improvements to it over the years. When you take a closer look at the 2019 HR-V, you will notice that this vehicle is in its second generation and has a full range of impressive features that enhance your time on the road. A thoughtful way to get to know more about the 2019 HR-V and each of its available trims is to drop into our dealership during business hours for a test drive. 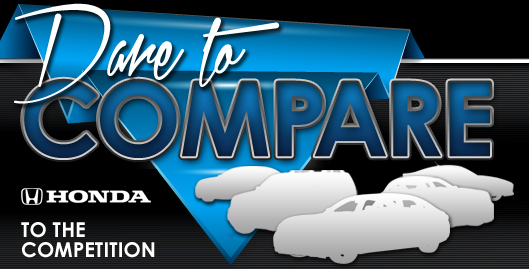 Before you can narrow down your options and select the exact SUV that you want to take home, you need to compare the differences between the five trims available for the HR-V this year. The 2019 trims are the LX, the Sport, the EX, the EX-L and the Touring from lowest to highest. 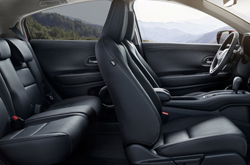 Regardless of the trim that you decide to take home, you will benefit from passenger seating for five adults and a stunning amount of rear cargo space. Advanced trims come with additional standard features, but you will notice that all of the 2019 trims are appointed with many similar standard or optional features. These include an auto-dimming rearview mirror, a 5-inch color screen for the infotainment system, sport pedals, Android Auto, Apple CarPlay, HomeLink, speed-sensitive volume control, power windows and door locks, cruise control, numerous USB and auxiliary ports, interior air filtration with the climate control system, cargo tie-down latches, a push-button ignition and more. Exterior features for the 2019 Honda HR-V include remote entry, a modified rear spoiler, LED brake lights, auto on-off headlights and several other features. The 2019 Honda HR-V does not disappoint drivers in the area of performance. For all trims, the SUV comes with an I4 engine that uses regular unleaded gas and that offers 141 horsepower. All trims also include similar mechanical features that add to your wonderful experience on the road. These include hill start assist, electric power-assisted steering, solid rear disc brakes and power-assisted front disc brakes, an electric parking brake with automatic brake hold, multi-point fuel injection, front and rear stabilizers, all-season tires, a torsion beam rear suspension and a MacPherson front strut suspension. Optional equipment includes active noise cancellation and intelligent all-wheel drive. Our helpful Honda sales team is eager to get you behind the wheel of a 2019 HR-V so that you can experience what this SUV offers on the road. 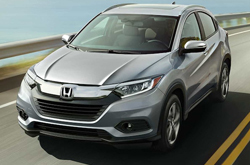 Honda has worked hard to earn an amazing reputation for producing safe vehicles, so it is not surprising to learn that the 2019 Honda HR-V is loaded with impressive safety features from bumper to bumper. All of the 2019 HR-V trims provide you with electronic brakeforce distribution, LED daytime running lights, an anti-theft feature, speed-sensitive automatic door locks, a tire pressure monitoring system, vehicle stability control anti-lock brakes, advanced traction control, a multi-view rearview camera with dynamic guidelines, an ACE body structure, braking assistance, child safety seat anchors, three-point safety harnesses with pretensioners, child safety door locks for the rear row, advanced airbags with a rollover sensors for the overhead airbag, an airbag deactivation sensor for the front passenger and other features. 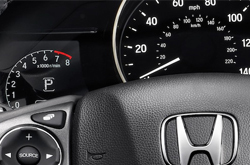 If you opt for a superior HR-V trim for 2019, your vehicle will also have adaptive cruise control, LaneWatch, road departure mitigation, a forward collision warning feature with mitigation assistance, a lane departure warning and mitigation feature and more.